1 A worker puts the final touches to a replica of a Beijing opera mask made with lemons and oranges during the 82th Lemon festival in Menton, France. 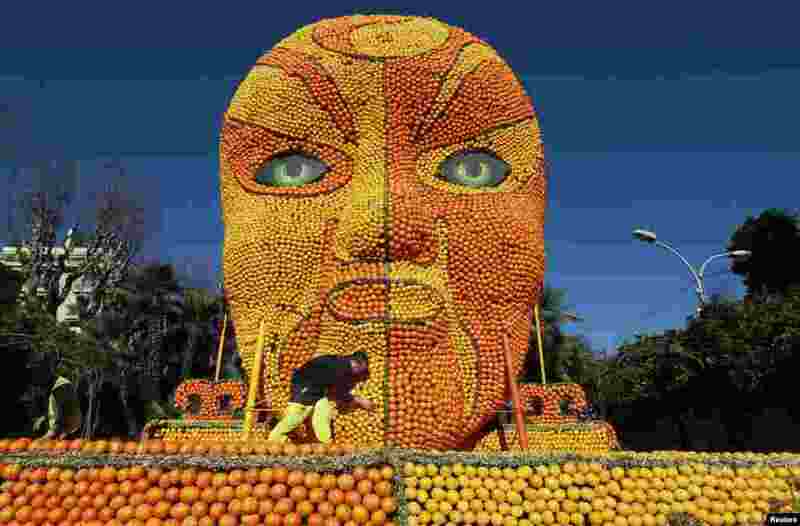 It took more than 20,000 hours of work for teams to set up the festival and some 145 metric tons of lemons and oranges are used to make displays during the 82th festival, which is themed "Tribulations of a lemon in China". 2 Students wearing traditional hanbok dresses bow as they attend a graduation and coming-of-age ceremony at the Dongmyeong girl's high school in Seoul, South Korea. 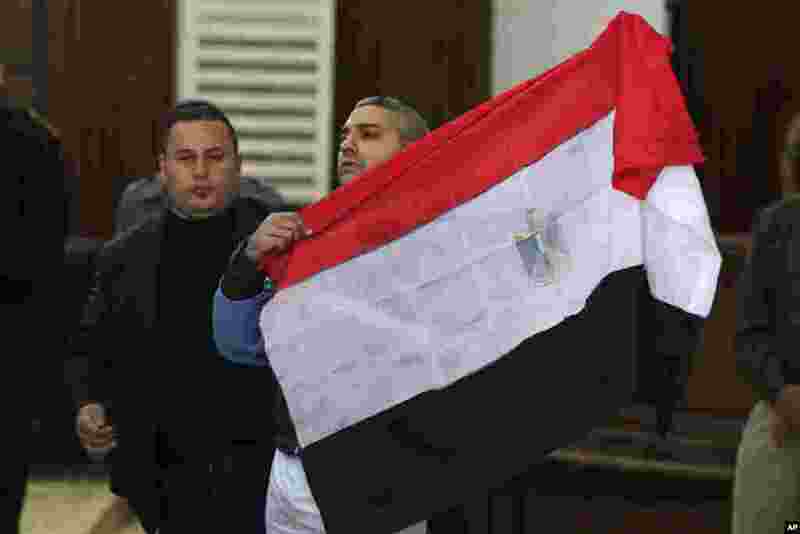 3 Mohamed Fahmy, a Canadian journalist of Al Jazeera English, holds up an Egyptian flag after a retrial at a courthouse near Tora prison in Cairo, Egypt. An Egyptian judge ordered Fahmy and another Al Jazeera English journalist, Baher Mohammed, released on bail as their retrial on terror-related charges continues. 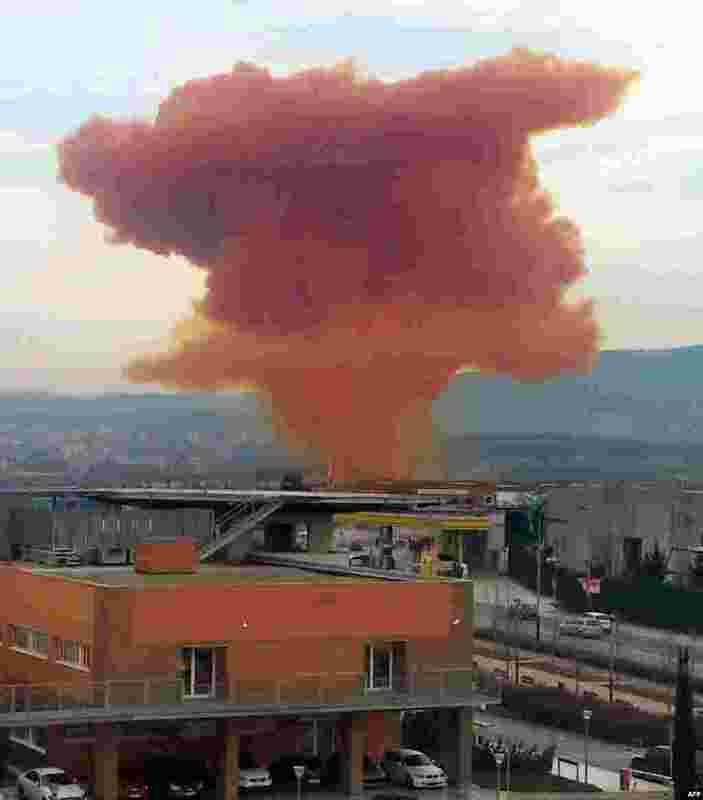 4 This handout picture released by Spanish Proteccion Civil (Civil Defense) shows a toxic orange cloud spreading after a chemical explosion at a warehouse in the Spanish north-eastern Catalonian town of Igualada.